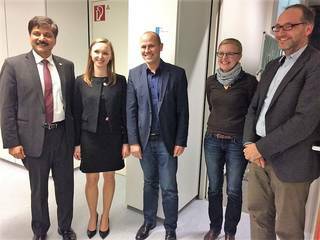 Nanochemistry: Congratulations Dr. Anja Jurewicz! Ania Jurewicz wrote her thesis about "Surface-functionalized Carbon, Silica and Iron Oxide Nanoparticles for Drug Delivery and Antibacterial Applications". The whole research group Mathur congratulates her to the successful defense.